Protect your business with a complete, end-to-end security and surveillance solution. At Eastern Telephone & Technologies, we offer cameras, software and other products that create a security solution designed for any business. 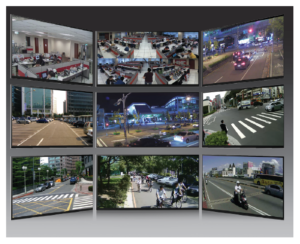 Planning a new surveillance solution for your business, or upgrading your existing system? Our technicians have years of experience in providing end-to-end services for almost any security application, from site survey and requirements assessment, to support and maintenance after installation. Our solutions are easy to use, and they’re designed to work perfectly for schools, retail, manufacturing sites and other installations. Ensure safety in the workplace while protecting your assets with business security cameras. Allow Eastern Telephone & Technologies design a surveillance system catered to your specific needs.